Some people have described me as being laid back. Others would strongly dispute this claim. 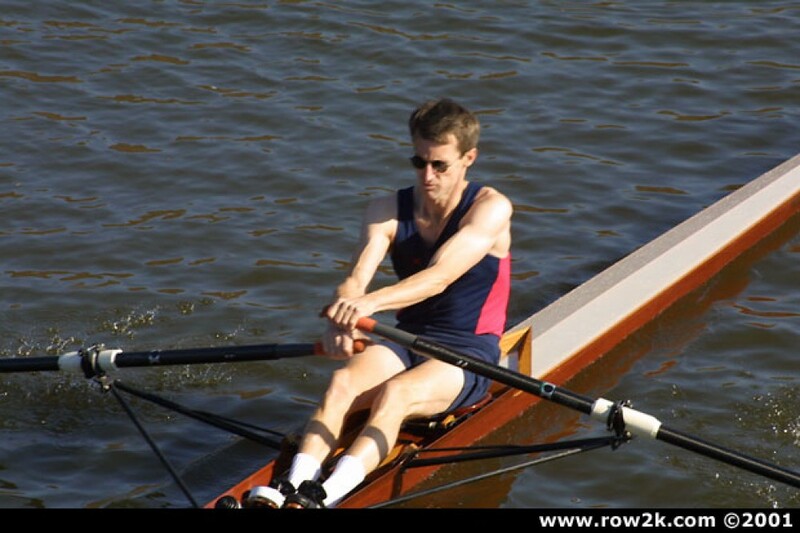 But on one point there is little argument – in my rowing technique, I have wayyyy too much layback at the finish. It’s as though the former great Red Sox radio announcer, Jerry Trupiano, was calling a home run: “Way back! Way back!” Sigh. For the uninitiated (non-rowers), this means that when I take my blades out of the water, I am leaning too far back from sitting vertically upright. This bad habit has several unfortunate effects: it causes the bow of the boat to plunge into the water, slowing it down; it actually makes it harder to get the blades out of the water (and I’ve crabbed a few times – even in races); it reduces or even eliminates the ability to “send” the boat faster off of the finish, which apparently is the idea (I wouldn’t know); it causes you to be less prepared for a proper recovery, since your body position is all wrong; and it just looks stupid. Now look at how it should be done – this is the final of the 2011 Men’s heavyweight singles at the world championships in Bled, Slovenia. Most of the guys have little to no layback – it’s all legs, and the finish is perfectly coordinated. The timing is impeccable – when they’re done, they’re done – the oars are out of the water. It’s a marvel for me to watch. Focus especially on Ondrej Synek from the Czech Republic (lane 5). He’s a machine (well, they’re all machines). Interestingly, the guy who won, New Zealand’s Mahe Drysdale, has a little bit of layback. They even comment on it, saying that maybe he’s getting a bit more on his stroke than the rest (Mahe, you are my hero!!). So that gives me some comfort, but not much. He’s the exception, not the rule, and his speed is likely due to a whole host of factors, as is usually the case – that elusive combination of strength, conditioning, guts, mental toughness, etc. that winners possess. In any case, for me, I know I need to sit up more at the finish and figure this out. 20 years of bad habits are very hard to break. I’m not so worried about the other elements…my catch and recovery seem to be ok. But many a coach over the past few years has been aghast at the inefficient finish that is literally dragging me down. Everyone on the river sees it and several have made comments. Ugh. The truth hurts, but you have to hear it. So with a new attitude and a new coach at Riverside, not to mention a renewed commitment to actually start TRAINING in 2012, after slacking off most of the year, I hereby commit myself to trying to improve this situation. Hope springs eternal – especially for masters rowers, the most stubborn and slow-to-change of all.